Ms. Kundra is a tax litigator and advisor who works aggressively to solve current problems and prevent future controversies. The firm's clients include businesses, non-profit entities, entrepreneurs and individuals seeking legal tax and financial counseling. Ms. Kundra's practice is nationwide. Through the span of Ms. Kundra's legal career, she has consistently focused on tax litigation, controversy, business, and planning issues. Ms. Kundra has successfully litigated and settled numerous civil and criminal tax cases, structured various business entities and resolved a number of legal tax audits, controversy matters and divorce tax issues. While working at the Office of Financial Enforcement, U.S. Department of Treasury, Ms. Kundra focused on money laundering issues and violations of the Bank Secrecy Act. This was in addition to handling administrative law appeals at the U.S. Equal Employment Opportunity Commission. Ms. Kundra also performed financial analysis for the Bakery & Confectionery Union and International Pension Fund. Ms. Chaya Kundra received a Juris Doctor from the Washington College of Law at the American University where her course work emphasized tax, accounting and finance issues. She majored in Finance at Loyola College and was selected as a member of the Green & Grey Society, which honors the top twelve graduating seniors who embody leadership, scholarship and community service. In August 2007, Ms. Kundra was interviewed by Fox 5 News for the segment Maryland Comptroller's Office Names Top 50 Tax Defaulters, regarding state of Maryland officials seeking more than $6 million from delinquent taxpayers. Ms. Kundra was quoted in "The Times of India"
ROCKVILLE, MD, May 13, 2015, Chaya Kundra, Esq. has been recognized for showing dedication, leadership and excellence in taxation and international tax compliance law. Backed by more than two decades of experience in the legal profession, Ms. Kundra draws upon her working knowledge as a tax litigator and tax controversy attorney to operate practices in Maryland and Washington, D.C. Her clients are local, national and residing all over the world. Working aggressively to solve current problems and prevent future controversies, Ms. Kundra is the Managing Partner and proprietor of Kundra & Associates, P.C. Her practice is nationwide, and her clients include entrepreneurs, businesses and individuals seeking legal tax and financial counseling and ultimate resolution. Kundra & Associates' specific areas of practice include criminal and civil tax litigation, tax controversy, sales and use tax issues, international tax compliance and employment tax matters. Having entered her profession after receiving a J.D. from the Washington College of Law at American University and a B.A. in finance from Loyola University, Ms. Kundra acquired invaluable experience working on money laundering issues and violations of the Bank Secrecy Act at the U.S. Department of Treasury's Office of Financial Enforcement. Ms. Kundra has been admitted to the Maryland State Bar Association, as well as the U.S. District Court for the District of Maryland, the District of Columbia, the U.S. Court of Appeals for the 4th Circuit and the U.S. Tax Court. 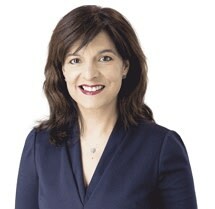 Her professional associations include the American Bar Association's Taxation Section, Maryland State Bar Association, Maryland Bar Section of Taxation, Bar Association of the District of Columbia, DC Bar Section of Taxation, Federal Bar Association, Asian Pacific American Bar Association, Indian American Bar Association, the Women's Bar Association of Maryland, the U.S. Tax Court's Inns of Court, and the National Association of Professional Women, which named her Woman of the Year. Ms. Kundra has served as Co-Chair of Day One of the Maryland Advanced Tax Institute, Fellow of the American Bar and Montgomery County Bar Associations, American University Dean's Advisory Committee, former Chair of the Employment Tax Section for the American Bar Association, and the Montgomery County and Maryland Tax Sections. Among Ms. Kundra's professional honors are being included in Fortune Magazine's Women Leaders In The Law for 2013, 2014 and 2015, U.S. News & World Report's Best Lawyers for 2014, 2015 and 2016, Best Lawyers in Washington, DC and Baltimore, Best Lawyers in America, Super Lawyers, and receiving a Superb Rating by AVVO. Prior to (this), Ms. Kundra has been named NAPEW woman of the year, Super Lawyers 2009, Circle of Excellence 2011, awarded National Association of Entrepreneurship 2011 and Women's Leader in the Law 2012. Ms. Kundra approaches each day with strength, passion and enthusiasm. She strives to maintain the highest standards of excellence, and consistently puts the interests and needs of her clients at the forefront. It is an honor to welcome Chaya Kundra as one of the top lawyers in Maryland.